Grocery shopping has gotten as easy as swiping and selecting items via handy apps like Instacart and Amazon Fresh. 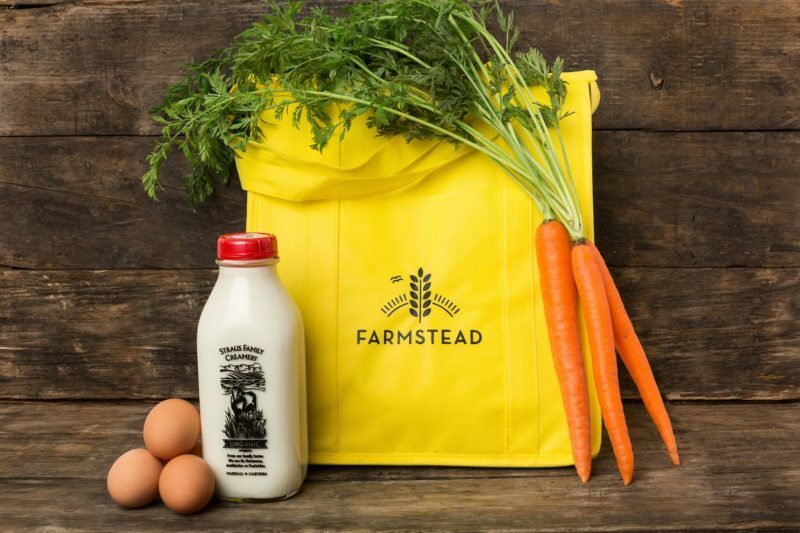 But now, Silicon Valley-based delivery service, Farmstead, is changing the grocery game with artificial intelligence. The micro-grocer app, which officially launched last fall, is built on a farm-to-fridge model that sources popular items directly from producers themselves (rather than using grocery stores as a middle man). It utilizes courier service to transport said items from Point A (the company’s micro-hubs) to Point B (your doorstep), all within sixty minutes, and with a flat delivery fee. Farmstead uses AI technology to analyze sales and seasonal shopping trends to then predict how much of each item to stock, cutting down significantly on potential food waste. In April, the company launched a new B2B platform, FreshAI, making that technology available to supermarkets, restaurants, convenience stores, and other players in the food industry looking to cut back on waste and boost profits. The tool has proven successful for Farmstead itself, reducing its own perishable food waste to under 10% in hardly a year. And Farmstead shoppers needn’t worry about the customer experience changing—you can still get Cowgirl Creamery organic cheese and other favorites delivered within the hour.